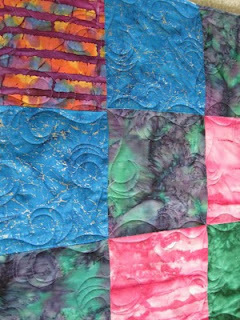 Thread Waggle Quilting: Theresa has been busy again!!! Theresa has been busy again!!! 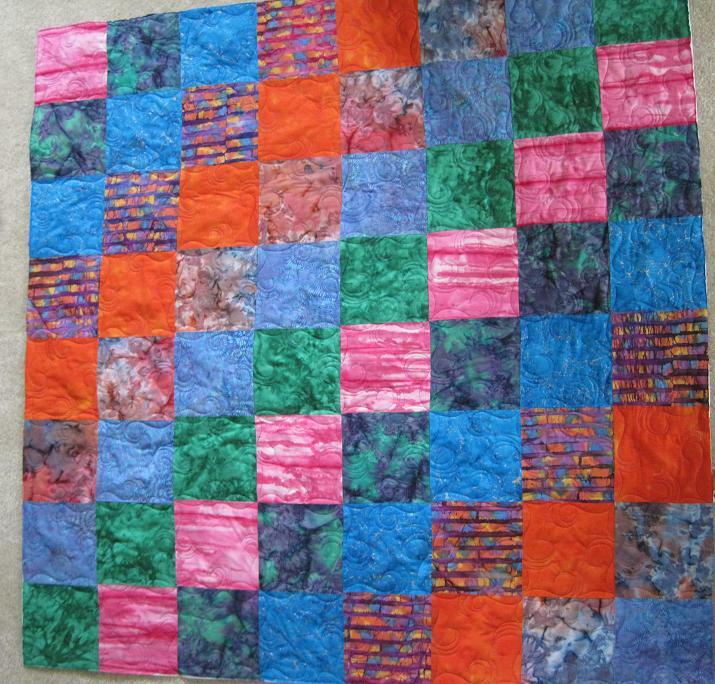 I quilted it with line dancing in a denim blue thread that blended in with most of the fabrics. 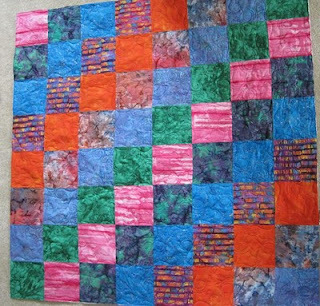 Theresa worked on the second quilt while she was here helping us move in April. 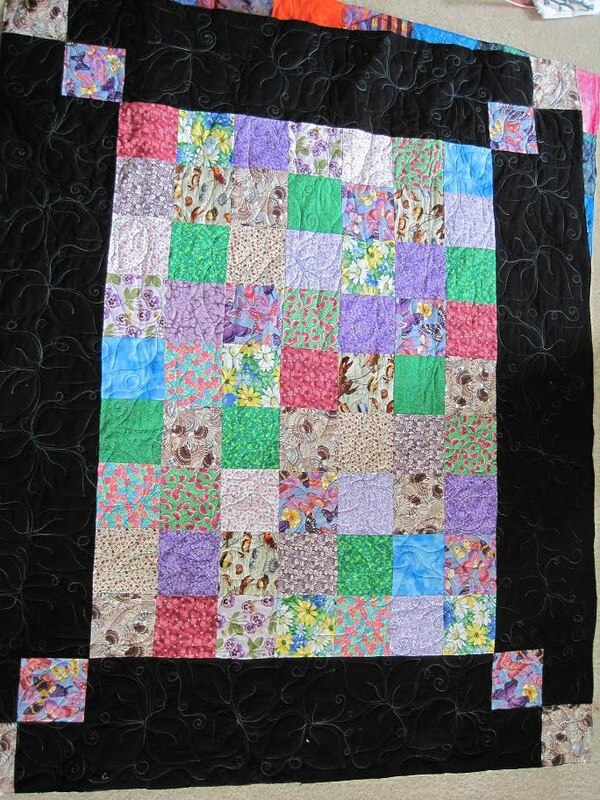 It is also scrappy, she decided to put a solid black border on it with pieced corners. The wide black border was screaming for a thick variegated thread. After laying the same color way of King Tut, Rainbows and Lava on the top, Lava won. I quilted it with an allover Pothos leaves and tendrils design. 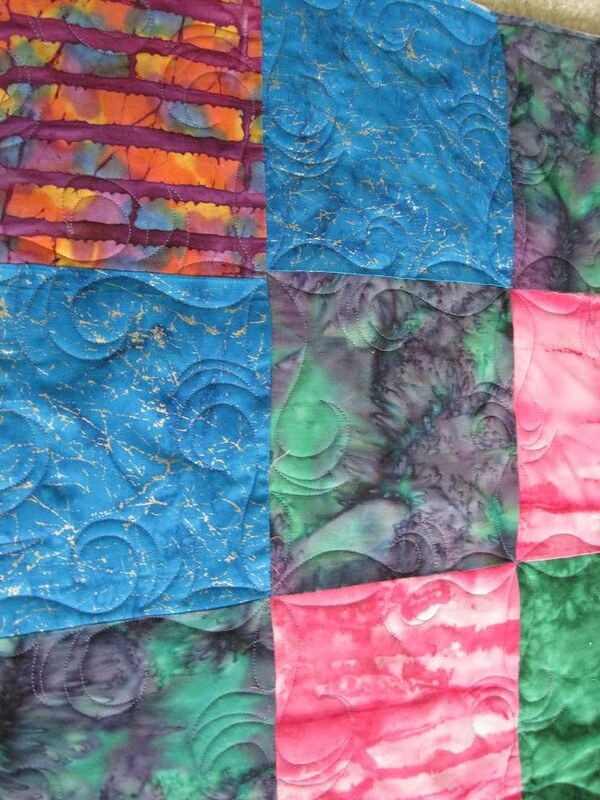 I love this design because it adds a lot of movement and it is a blast to quilt. 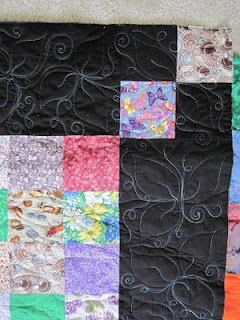 I really get into quilting the tendrils.